Laura Hillen writes that grocery retailers are finding new homes as mall anchors in suburbia. Due to declining foot traffic, many retailers are now preparing to close a large number of their stores. These closures are leaving empty mall spaces in their wake. Food retail is one thing helping struggling malls survive,” June Williamson, an architecture professor at the City College of New York, and Co-Author of Retrofitting Suburbia. Williamson also stated that losing an anchor store and its lease payment can make it difficult for a mall’s survival. However, malls are starting to focus on answering consumer needs apart from just clothing. As the consumer shopping experience continues to change, malls could prove a successful financial hub by offering food-related business. 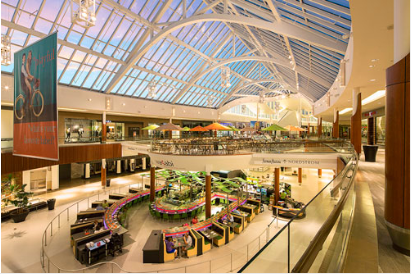 Retrofits of existing malls can capitalize on proximity to infrastructure, housing, parking and public transportation. Grocers and other non-traditional mall uses, such as offices and health care, can benefit the entire region without the need to build from the ground up.